We make a huge deal about Great Treasure Day at KiDs Beach Club® and rightfully so. It’s the day that every child in every Beach Club receives his or her own KBC Explorer’s Study Bible. You’ve read the stories and watched the videos recounting the Great Treasure Day celebrations, but what happens after the Bibles are stuffed into a child’s backpack and head out the door and into a home? Do they take up permanent residence in the backpack to be read regularly or do they only make it back into the backpack on the day of Beach Club. After Great Treasure Day last month at Mohawk Elementary in Richardson, Texas, a mom sent a text to her son’s Surf Team leader thanking her for the impact she is making through KiDs Beach Club®. Many of the volunteers at Mohawk have been able to recount similar stories about Great Treasure Day. 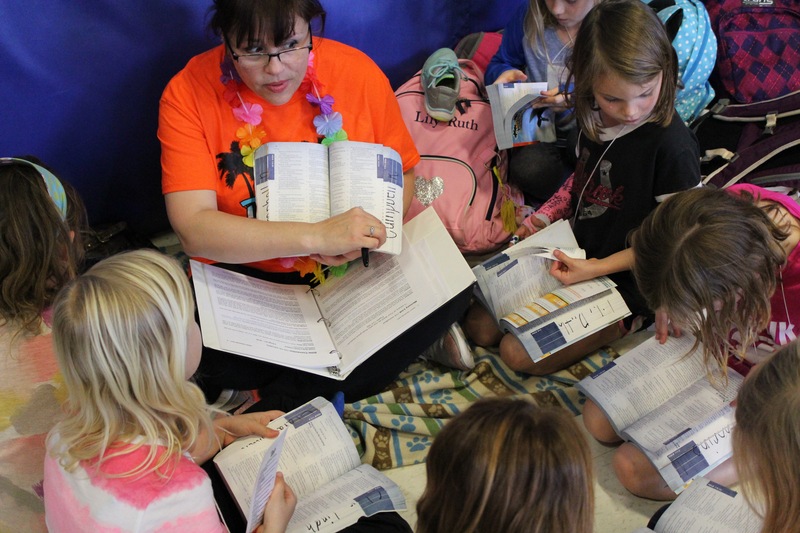 “My kiddos both had their Bibles out this morning and were eager to highlight anything and everything,” said Ashley Gillard, a Surf Team Leader who works with third-grade girls and whose two children attend the Beach Club. The Bibles come out of the backpacks during school hours, too. Since this was the second Great Treasure Day at Mohawk, some of the kids already had received a KBC Bible. For most kids who attend Beach Club, the KBC Bible jumpstarts their journey with God. The Bibles are making an impact beyond weekly Beach Club meetings.